A Derbyshire driver who broke down in lane one of the M1 could have caused an accident after she called her mum instead of police. The driver ‘just sat there, causing others to swerve’ when she broke down on the busy motorway in the early hours of this morning (Monday, March 18). 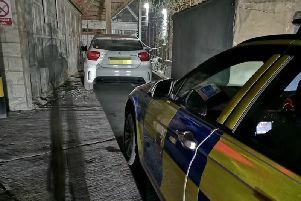 It’s no wonder the driver called her mum instead of police- officers from Derbyshire Roads Policing Unit later found she had no licence or insurance. She was also under the influence of cocaine and cannabis while behind the wheel. The driver was arrested and her vehicle was seized, said officers.